In March of 2014 Tai­pei hosted its first Suit Walk, an event organized by Brian Shih, brand manager of the Gao Wu Collection, which is a bespoke men’s apparel line and boutique. Tai­pei’s streets became fashion runways as more than 100 men paraded down them, breaking stereotypes about suits. Since then the pageant of gentlemen’s attire has become a regular spring ritual, with more than 700 dandies participating in 2018, its fifth year. Although the suit is a traditional and familiar form of clothing, a classic never goes out of style, and recent years have witnessed a renewed interest in it. 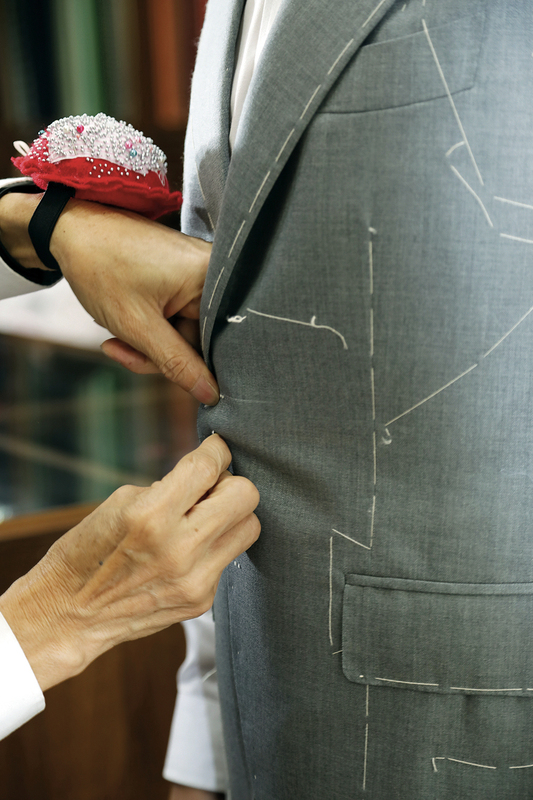 Taiwan is unique in featuring so many shops offering custom-tailored suits. They are quietly awakening a vibrant men’s sartorial culture. In her book Taiwan’s First Experiences with Western Culture, Chen Rou­jin describes how, when teahouses were first becoming popular in Tai­pei’s Da­dao­cheng area around 1910, men began to cut off their long braids and trade their traditional Qing-style garb for Western suits. 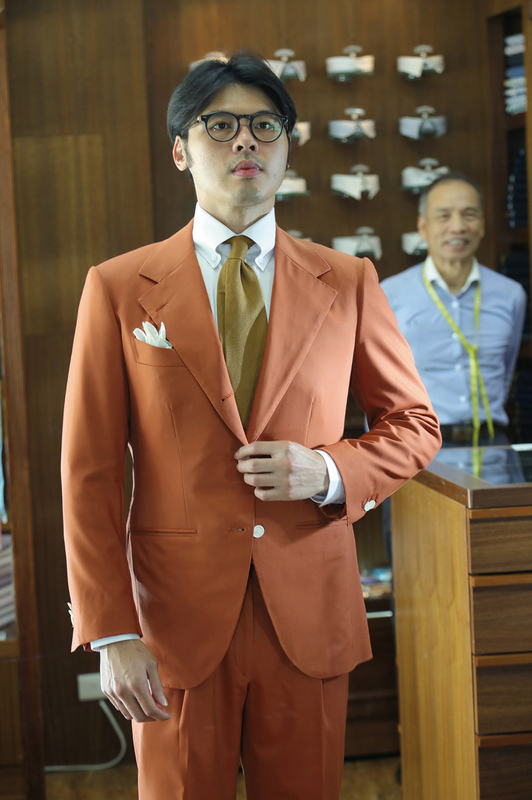 In this same neighborhood where Western suits had their start in Taipei, Daniel Fan in 2015 established ­Kaien Bespoke Tailoring, which has opened a new chapter in the glorious history of tailored men’s suits. Fan moved from ­Miaoli to Tai­pei when he was 16 to work as an apprentice, and he has been involved in the wholesale fabric trade for 38 years now. He experienced the boom era for tailored uniforms, when consumers would line up to choose their fabric and get measured. 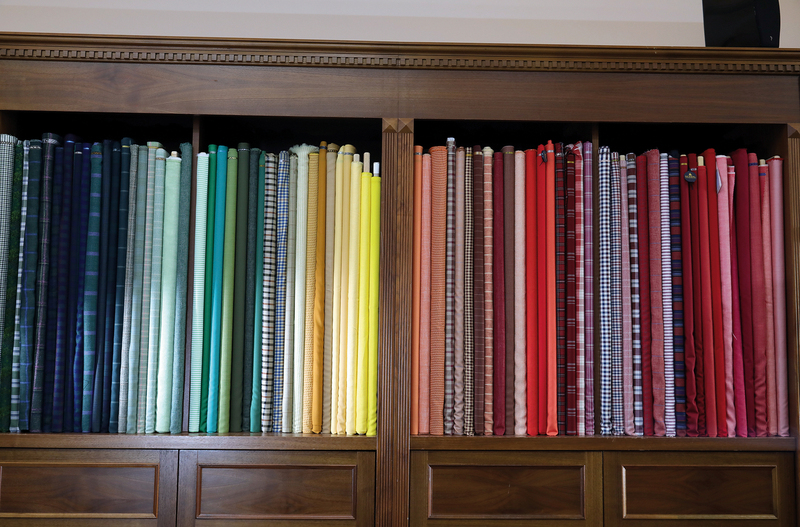 He then witnessed the damage that branded ready-to-wear clothing caused the made-to-measure sector. Yet Fan remained determined and adopted a more entrepreneurial approach, buying ­Kaien Bespoke Tailoring. The decision bore witness to his confidence in the market for tailored clothes if only the proper approach were taken. To transform any old-established industry, one must start by changing attitudes. Traditional master tailors who simply follow the old styles, stressing the fine quality of their work but not understanding consumers’ needs, will naturally not be able to keep up with the trends of the time. Master ­Zheng was one of ­Kaien’s old tailors whom Fan asked to stay on. In the business for more than 40 years, ­Zheng says, “Current customers all demand a sense of design.” He has affixed many customer-supplied photographs of suits next to his workbench. With a glance, he can figure out how to make them. As an old master tailor with both up-to-date ideas and craftsmanship that has been honed over many decades, he has helped ­Kaien to gain a stable footing despite a depressed market for tailored clothes. Fan has also made good use of social media such as Facebook and Instagram. 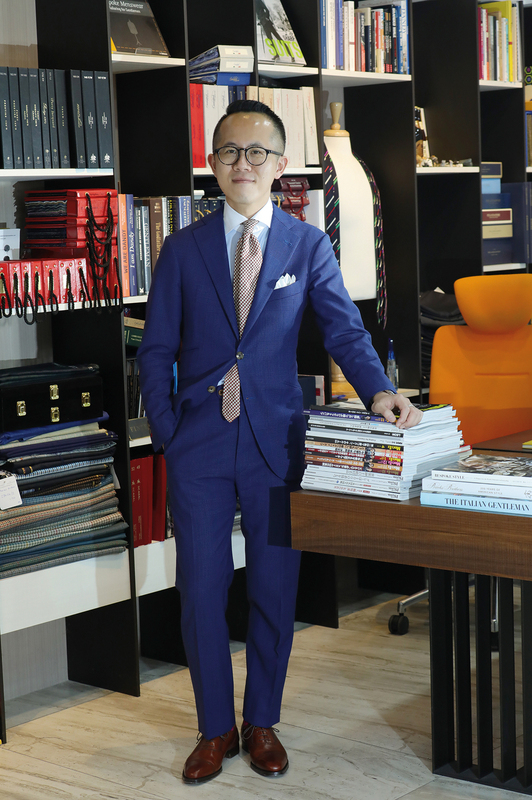 What’s more, he holds an immense stock of select fabrics worth more than NT$70 million, which allows him to provide consumers with more choices. That’s also a key factor in why ­Kaien is attracting young people. At first, Fan was designing for customers over 55. He discovered that although they could invest more money in a suit, they rarely were repeat customers. The younger generation, meanwhile, were boldly investing in themselves. Currently, ­Kaien’s average customer is about 35, and 80% of its clientele are repeat customers. The shop typically has about 30 new customers in a month. 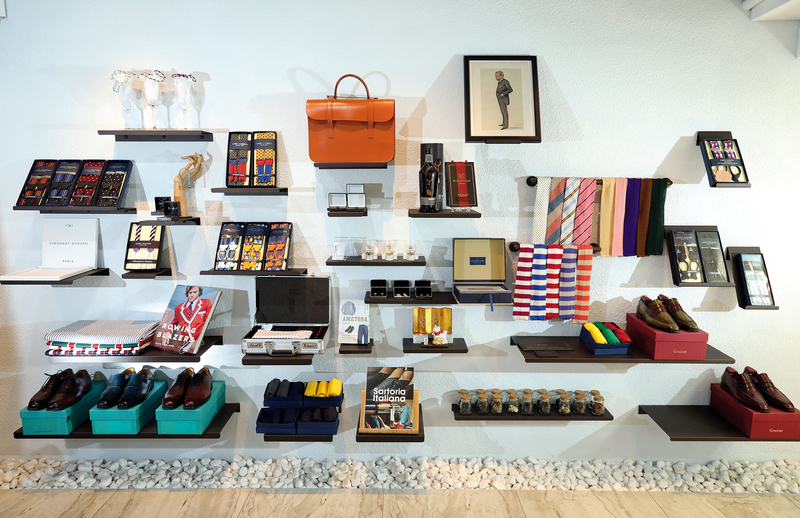 And there are even a group of friends that treat ­Kaien as a hangout spot, coming in often to touch base and discuss suits and accessories. Chris Chu is a regular who works in the restaurant industry. Suits are his work attire. A tailored suit that complements the lines of his body and that has a nice feel to its fabric makes him look good and adds to his confidence and sense of professionalism at work. The transformation it imparts is keenly felt. The idea in Taiwan that suits are old fashioned or suitable only for going to weddings or to meetings with matchmakers and potential wives, says Chu, is based on misunderstanding. The truth is that suits have absorbed many different styles and fashions over the years, and one needn’t always wear a complete suit. Chu often mixes and matches different pieces. 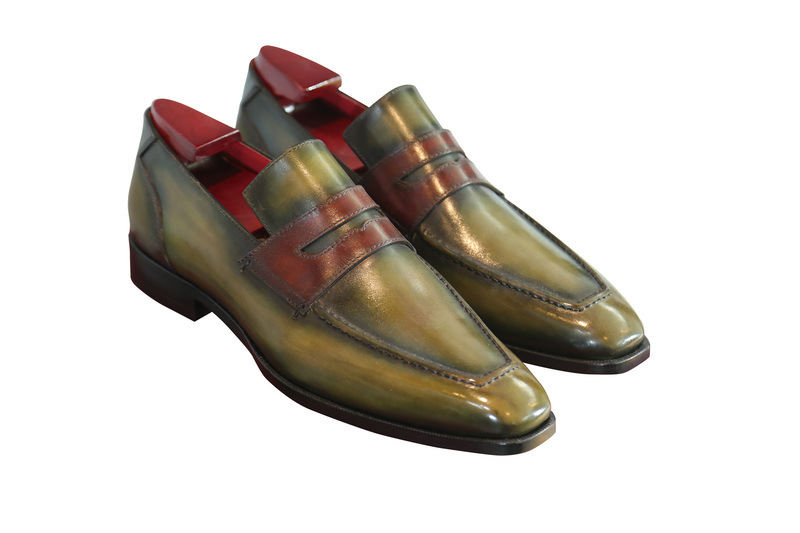 It’s a way for him to express a little personal style in his everyday life. Before Shih was 30, suits were his work attire. Yet Shih, who is small and wiry, couldn’t buy properly fitted clothing on the ready-to-wear market. That pushed him to the realm of bespoke tailoring. 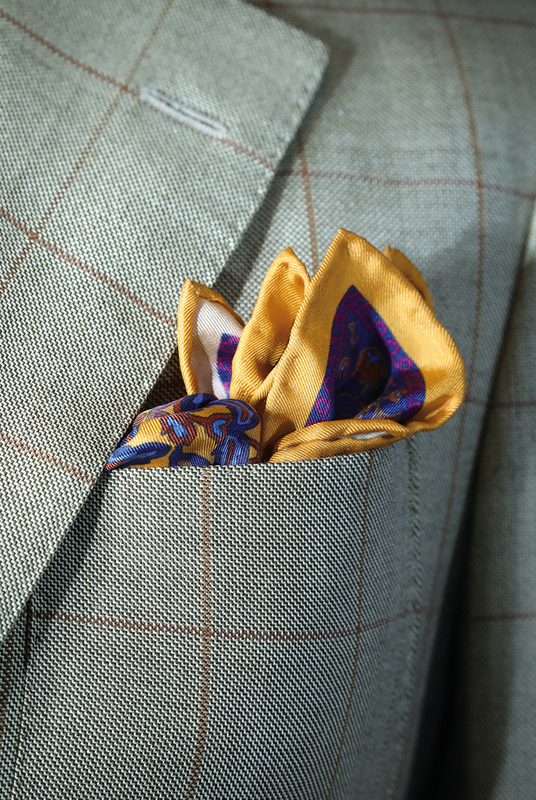 It was only then that he discovered that “ordering custom-tailored clothing is quite a long and involved process.” So many details—from the style, to the fabric, to the accessories—require attention. Afterwards, because of the demands of his job, he translated some Western documents about suits into Chinese and shared them with friends and on his Office Dandy Blog. In 2004 he launched Suit Walk. Shih notes that most participants are under 35, with the 20‡35 cohort accounting for 80%, and with most of those working in IT. “This matches Taiwan’s economy overall, and it has allowed us to understand that this group of people are not at liberty to wear what they want in their workplaces,” Shih explains. Because the Chinese word for suit—xi­zhuang or “Western wear”—is a term loaded with stereotypical associations, he has substituted the term shen­shi­zhuang—“gentlemen’s garb”—for it. In terms of style, it allows the suit greater flexibility: You can match it with a polo shirt, jeans or sneakers. In that manner, suits are no longer standardized, so that one’s individual sartorial freedom is no longer suppressed. When speaking about clothing styles, Shih offers his own personal observations about society. He draws major lines at the ages of 35 and 65: Men between 35 and 65 typically don’t put much emphasis on what they wear, but men over 65 or under 35 are concerned about being well dressed and having a personal sense of style. These tendencies are connected to industrial transformation. At one point, when Taiwan’s economy was dominated by trading companies, it was important to dress well for business purposes. “The export trade put an emphasis on face-to-face communication, but the rise of the IT industry moved us from communicating with people to communicating with machines, and we gradually forgot how to dress well.” People from 35 to 65 are the age group that experienced that shift from industry toward information processing. When one is spending most of one’s time in front of a computer and rarely interacting with people, one naturally grows not to care much about one’s outward appearance. Shih says, “Your suit is the first name card that you present to the world.” He doesn’t try to force people to wear suits. Rather, in his view the important thing is that “the choice is made after proper consideration.” One must decide which look to put on for the world to see. Items in the Gao Wu Collection aren’t overly luxurious. Rather, they are simply reasonable. Shih recommends that gentlemen wear suspenders, because only suspenders can perfectly keep suit pants in their proper position. According to etiquette, one shouldn’t catch a glimpse of a gentleman’s bare leg. Consequently, the key issue regarding socks is their length. Long socks are traditionally worn to the top of the calf so that they don’t slip down. Because “one-size-fits-all” socks are thicker in case they need to be stretched, the shop only sells sized socks to ensure that their thickness won’t affect shoe size. This isn’t an unreasonable approach. These are sensible and appropriate standards that shape the reasonable appearance of a gentleman. Apart from shaking up consumers’ ideas about gentlemen’s wear, Shih has introduced reforms on the tailoring side as well. The Gao Wu Collection doesn’t hurry the process of making a suit. 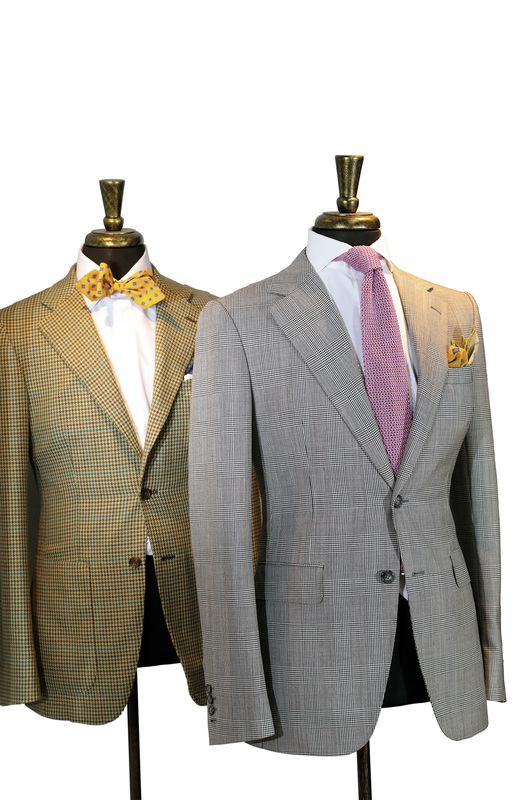 It requires a full two months to complete a custom-tailored suit—first with two basted fittings, and then with a trial wearing of the finished suit. 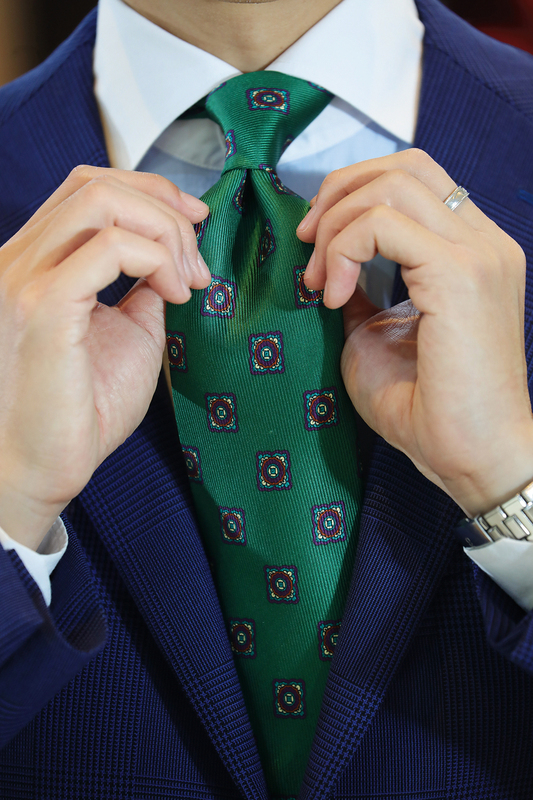 It’s close to the process used internationally for bespoke suits and is a more reasonable mode of working—one that Shih hopes will give those entering the industry greater optimism about their future. Putting on Suit Walk allows tailored suits to transcend the narrow confines of traditional spaces and enables their wearers to present themselves with elegance and confidence. Only when consumers are willing to wear suits to walk down the street will firms smell business opportunities and the media take notice, explains Shih as he discusses his vision of market transformation. Only when more people become familiar with the spirit that animates tailored suits, can this newfound understanding turn into a wave that shakes the market. Kaien’s Daniel Fan, meanwhile, is working hard on the production side, sparing no expense in cultivating his team. His apprentices are mostly 20-somethings who aspire to work in the field. Two senior masters in the shop give instruction, drawing on their wealth of experience. Under Master ­Zheng’s guidance, these apprentices can now handle the first stage in the suit-making process by themselves, taking clients’ measurements. They have accumulated much real-world experience about the needs of different body types. It is hoped that these apprenticeships will help to pass down both the skills and the culture of custom tailoring. 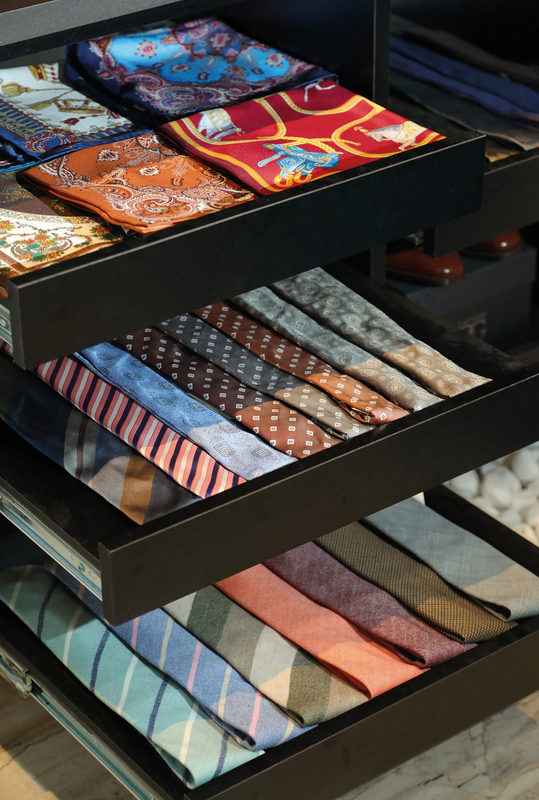 Daniel Fan aims to make the wearing of gentlemen’s clothing an essential part of daily life. For Brian Shih, these clothes serve to demonstrate an appropriate lifestyle. In truth, when one’s sartorial sense is awakened, one is better equipped to face the world. Needing to wait for a tailored suit to be completed means that one must pass through a process of self-doubt and self-­understanding that leads eventually to revealing the most reasonable version of oneself. In comparison to the instant gratification found through fast fashion, this process offers alternative solutions and ways of thinking.